India’s age of interruption on the Internet? 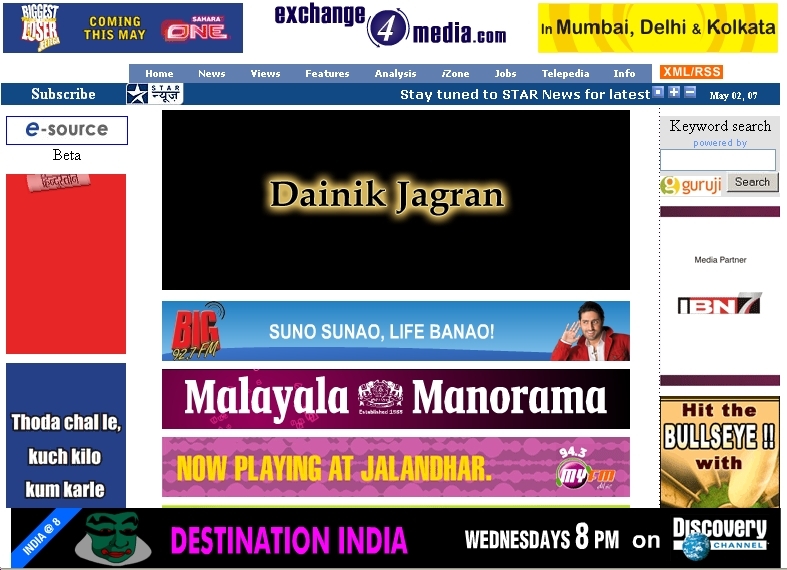 Rising ad clutter and ad avoidance on Indian television are a well known phenomena. TV channels are trying to manage this by restricting total commercial time to 8-12 minutes per hour of programming. However is the age of interruption still continuing only on TV or are digital media also succumbing to it?! The home page of one of India’s leading advertising and marketing sites set me thinking. From content interspersed with ads, it has moved to ads interspersed with content http://www.exchange4media.com/. The other leading site in this space http://www.agencyfaqs.com/ fares a little better, with only 3 pop-ups before you can reach content. Possibly a case of too many advertisers vying for the same space, if that is possible in today’s age!! But as a frequent visitor to both sites, which kind of started the digital A&M coverage in India years ago, I was a little stunned. Just noticed your mail. Funnily enough, I had written something similar elsewhere, and got a response from agencyfaqs!, informing me about a planned relaunch in May. S0 that shd be coming very soon. I think you will find agencyfaqs more responsive to your issues. They claim to be the world’s no. 2, based on ABC audit, and have publicly lamented the lack of interest by advertisers in measuring size objectively..